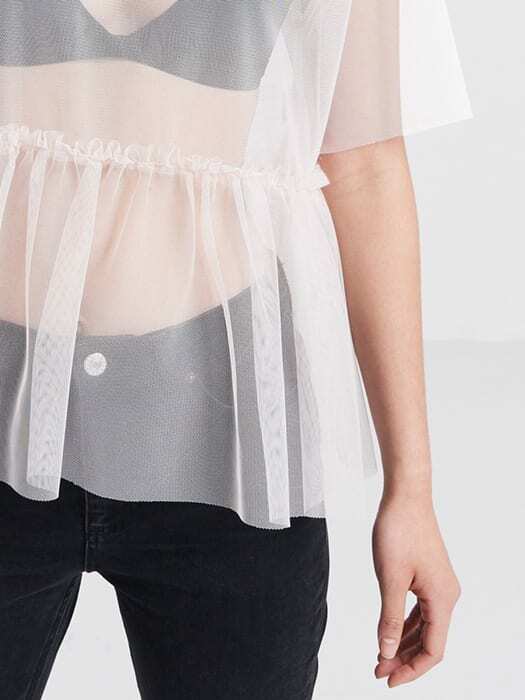 Make light work of your layering game with this powder-pink Mesh Peplum T-shirt. In a macro-net material, ruffle detailing to the waist adds look-at-me detail while the floaty hemline creates insta-worthy movement. Throw it over pretty much anything this season FTW!